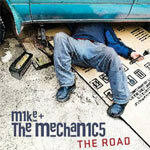 In April 2011, Mike + The Mechanics will return with two new singers and a new album, called The Road. The album will be released at Sony Music (Arista Records). 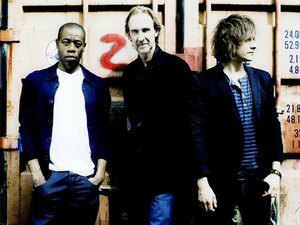 Andrew Roachford and Tim Howar have joined the band and have already performed with Mike Rutherford for the Princes Trust Gala Concert last week. Another show is set for this thursday (see our news about that here). After the album release in April 2011, the band will undertake a large UK tour, playing 22 shows in theatres across the country in both, larger and smaller cities. The tour is called Hit The Road Tour 2011 and will start on 27th April 2011 in Hull (City Hall). Shows of this tour include Birmingham, London, Newcastle, Edinburgh, Bradford, Nottingham, Cardiff, Ipswich, Manchester among other cities. Tickets will go on sale this friday! There is no information at this point whether or not the band will also play shows in other countries in Europe and elsewhere. We will keep you up to date! Our friend from the Mechanics website A House Of Many Rooms has now also published a short interview with Andrew Roachford. Find the interview here. For all news about the tour, the live band and upcoming toudates, please visit our tour dates site.